The third and final Bruins Give Back volunteer service event of Kellogg Community College’s Spring 2017 semester will be held from 9 a.m. to noon Friday, April 28, at the KCC YES! Community Garden on campus in Battle Creek. 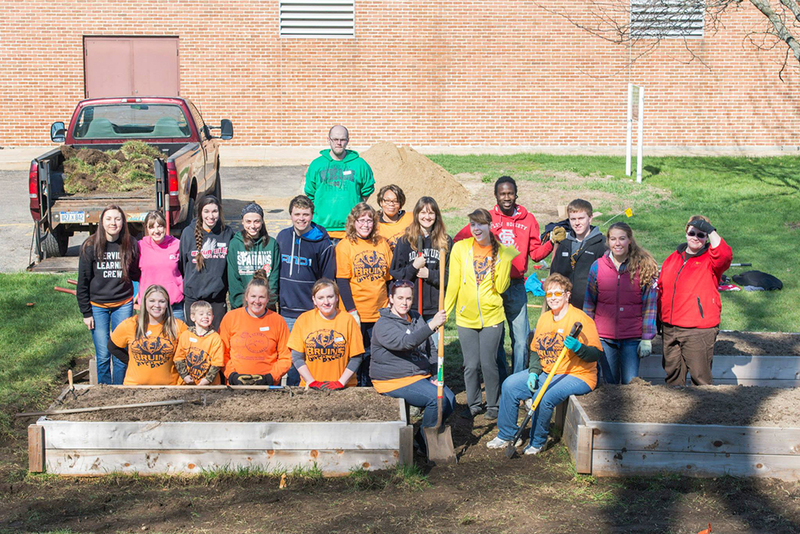 Participants will help KCC prepare the garden, located behind the library on campus at 450 North Ave., for the summer season. All KCC students and employees are invited to serve at this and future Bruins Give Back events, and can sign up online via the form available at https://goo.gl/forms/wdSbRQo8XdeyTB7q2. All volunteers will receive a free Bruins Give Back T-shirt! The first Bruins Give Back event of the Spring 2017 semester was held on Feb. 24; the second was held on March 24.